THE SHELDON HIRES S. M. WILSON & CO. AS GENERAL CONTRACTOR - S. M. Wilson & Co. THE SHELDON HIRES S. M. WILSON & CO. AS GENERAL CONTRACTOR - S. M. Wilson & Co. 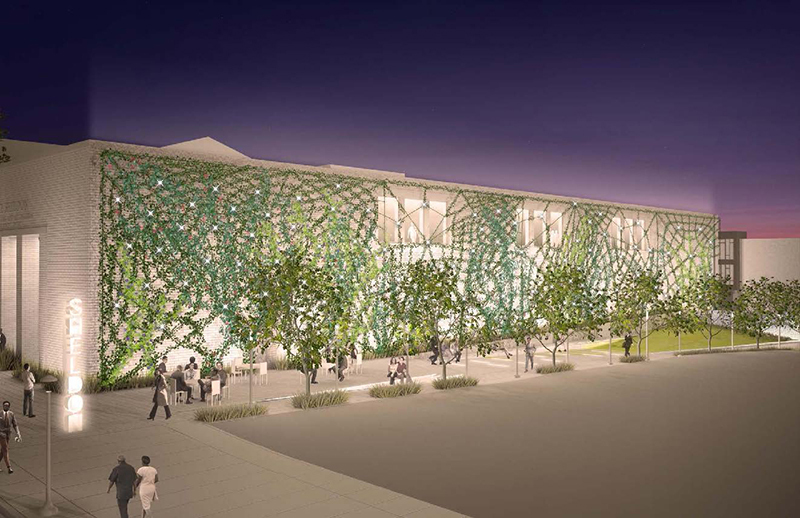 Designed by internationally acclaimed architect Ben Gilmartin, the plaza and walkway will connect The Sheldon with Public Media Commons to the south and Washington Boulevard to the north. The walkway is The Sheldon’s portion of ArtWalk, linking several visual arts institutions in Grand Center. 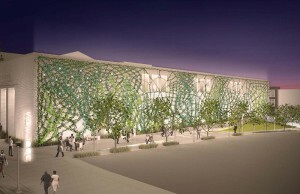 The plaza will feature a large vertical garden on the west wall of The Sheldon’s facilities, and a new sculptural sign and video blade will be installed on Washington Boulevard. S. M. Wilson is a full-service construction management, design/build and general contracting firm with headquarters in St. Louis. S. M. Wilson is one of the largest general construction and construction management firms in the St. Louis area. The company posted $305 million in 2015 revenues, and ranks 220th in Engineering News-Record’s 2015 list of Top 400 commercial contractors nationwide. For more information, visit www.smwilson .com. The Sheldon opened its doors in 1912 and the Concert Hall is known around the world for its perfect acoustics. Today, The Sheldon presents jazz, folk, classical and world music concerts and the adjoining Sheldon Art Galleries present quality exhibits in many genres. Over 25,000 young people are engaged in Sheldon education programs and, overall, 125,000 individuals participate in over 350 events each year at The Sheldon.